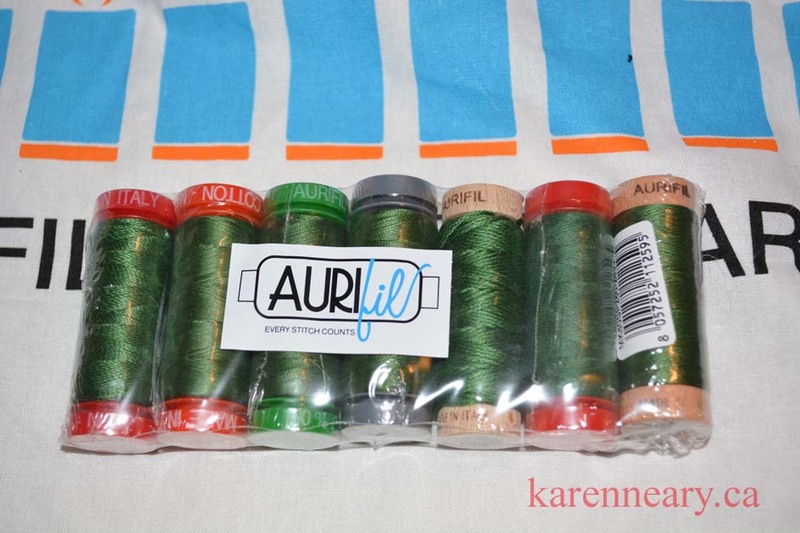 Recently, I received a box of goodies from sponsors of the Island Batik Ambassador program, including a thread set of all the weights of Aurifil thread. There were seven spools of #2890 "Very Dark Grass Green", from 12 to 80 weight, as well as Lana wool and Aurifloss. As soon as I saw it, I knew what I wanted to do with it: a stitch-out! 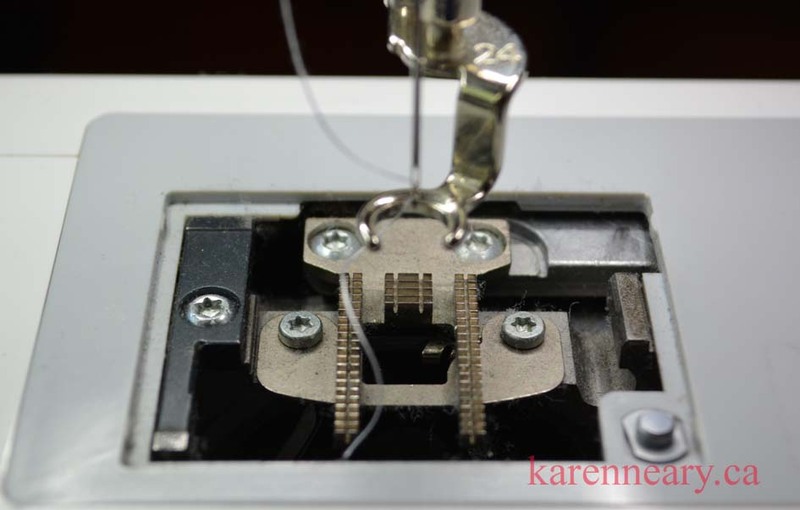 Six of the threads are intended for machine use, so I set the floss aside and starting working out a design. 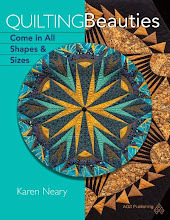 I have long admired the quilt pattern called "Princess Feathers" so used that as a jumping off point. Real Princess Feathers feature appliquéd plumes spinning around a centre star. ; mine would be stitched with thread. 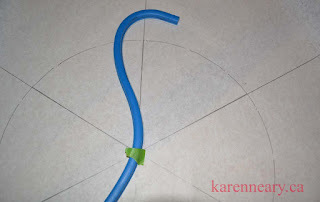 On my dividing lines, I used a flexible ruler to trace a curve. The green painter's tape was my reference for where to place the blue ruler at centre each time - very scientific. And because a REAL Princess Feather has a star at the centre, I drew in a small one of those, too. So far, so good...but then I decided that these beautiful threads needed equally beautiful fabric, so I chose a piece of pure white dupioni silk from my stash. 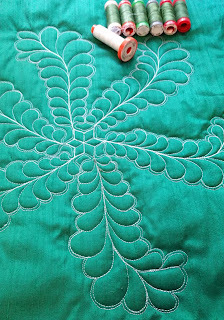 Silk is a tricky fabric with which to work, one of the issues being that marks do not easily come out of the fabric. 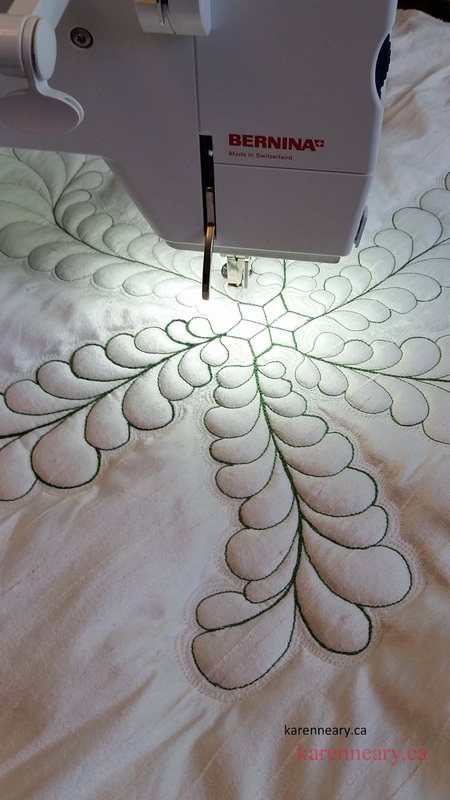 For this reason, I plopped my paper drawing on top of the silk and stitched the lines in 80 weight thread, giving me just the barest outline to work from. 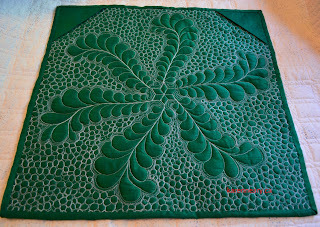 The paper removed easily, and I layered the silk with a doubled piece of Hobbs wool batting and backed it with a luscious rich green dupioni silk. 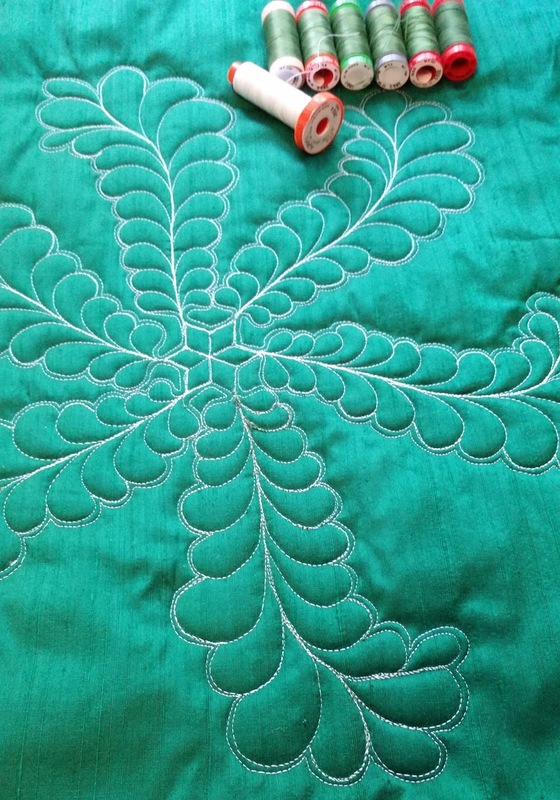 The second issue with silk is that pin marks often remain, so my pin-basting was kept at a bare minimum, with only a few silk straight pins around the perimeter of the piece. I began with the 80 weight green thread and tentatively free-handed the first feather. I used a size 10/70 topstitch needle for this fine thread. 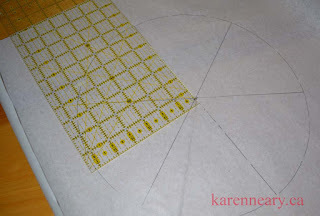 I choose topstitch needles for all my free-motion quilting, as they have sharp points and large eyes. Not a bad first feather...so I moved on to the next with 50 weight, my go-to thread, and switched up to a size 12/80 topstitch needle. I used this same needle for the 40 weight thread which came next, but switched to a 16/100 topstitch for the 28 and 12 weight threads. I had never used the Lana wool before, but it stitched easily. It has a very different look than cotton thread - soft and fuzzy. 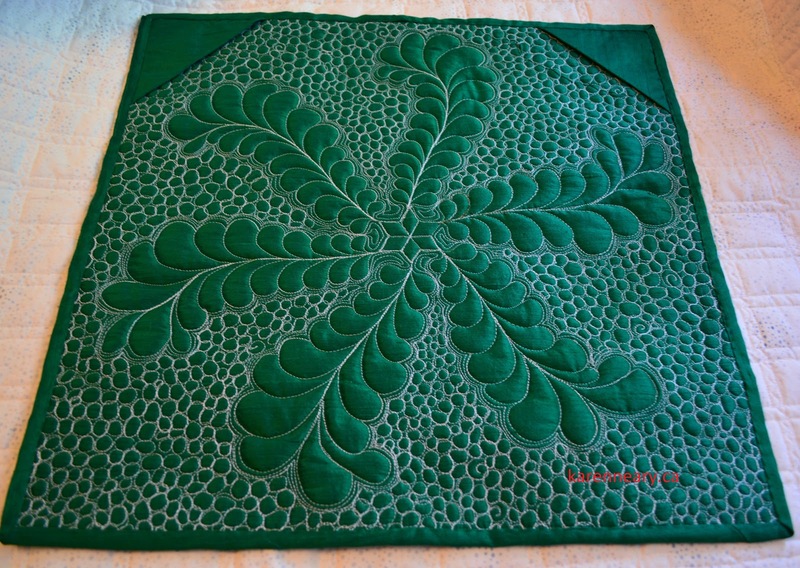 I think it would be great on a child's quilt, or for texture for leaves or flowers. For the bobbin, I reversed my colours and used 60 weight plain white against the green. 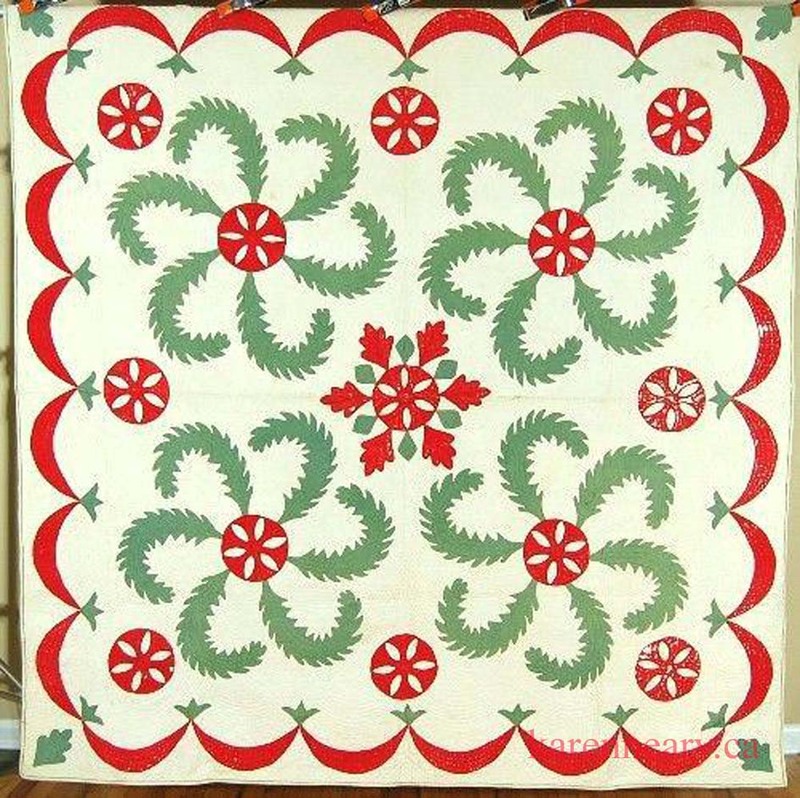 When it came time to quilt the background, I used 50 weight white with a size 12/80 topstitch needle. Pebbles are not my favourite thing to stitch, but I do like how they look. The Hobbs wool batting plumped up the feather lobes nicely. In all, I used 8 different Aurifil threads: 12 weight Lana wool, and cotton in 12, 28, 40, 50, 60, and 80 weights. From the back, you can't tell any difference in top threads. 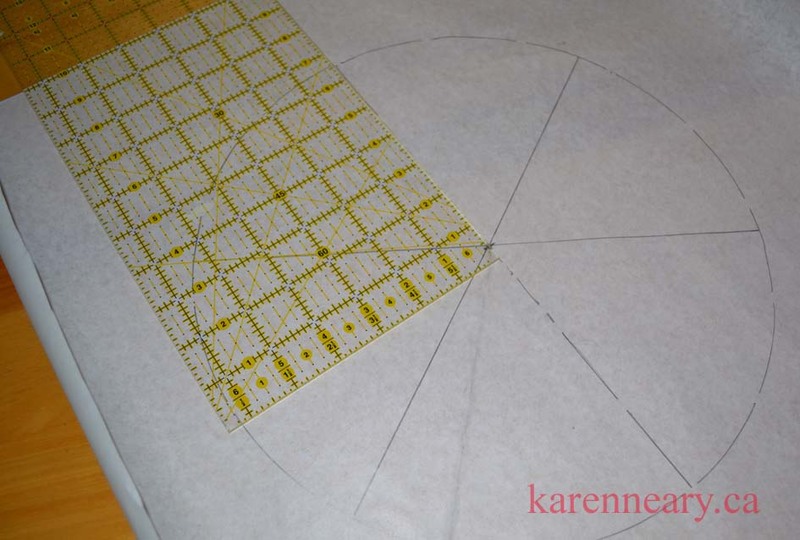 The piece finishes 18" square, so I added triangle corners at the top for hanging instead of a full sleeve. There is room in the centre diamond sections to embroider the weight # for each plume, and I hope to do that by hand with the Aurifloss. 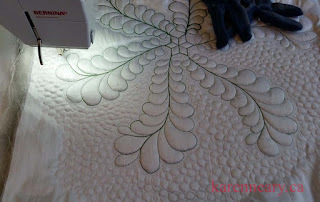 There is a fair bit of quilting on this piece, using almost 3 three full bobbins of thread. Since silk doesn't toss off lint in your machine the way cotton fabric does, it was a good measure of how much lint actually came off that thread. When I removed the throat plate after the stitching was done, all I could find was a bit of the wool batt caught between the feed dogs. Aurifil truly is a low lint thread! Although far from perfect, this little free-hand stitchery is a nice sample of how different threads affect the look of our quilting. 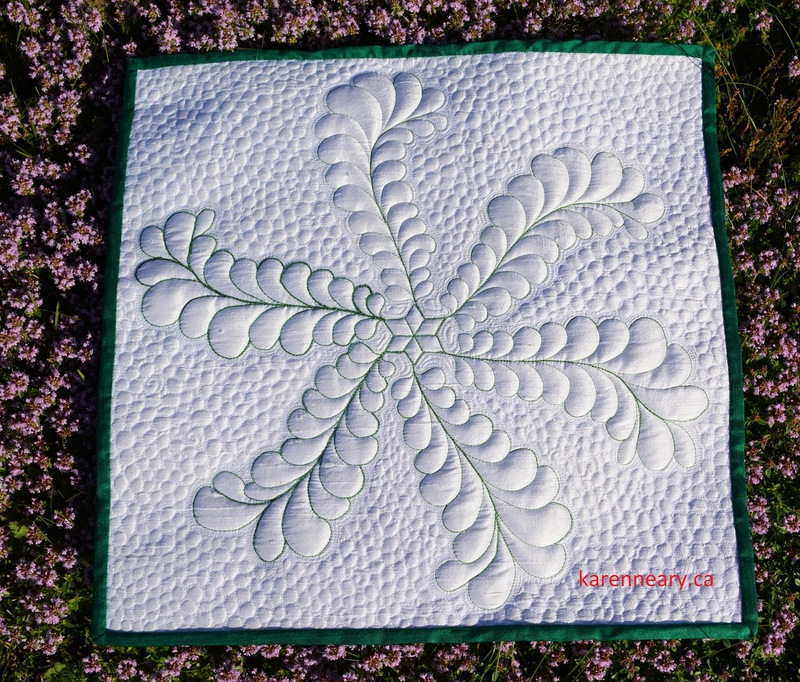 If you would like to join me in learning how to draft and stitch free-form feathers, there are a couple of spots in my class at this year's Nova Scotia Fibre Arts Festival. You can register directly on this page. 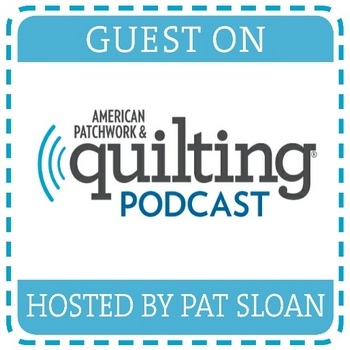 Thank you to Aurifil for supplying the thread for use in my work. Beautiful, and on the wall this will be an eye stopper. What an interesting exercise, the result is gorgeous! What a great idea for using the generous gift from Aurifil! There’s no end to your amazing creativity! I really need to practice my free motion. I agree that Aurafil thread is a great thread. I use it all the time. I love your sampler. Sorry I will miss the class. Lovely indeed! 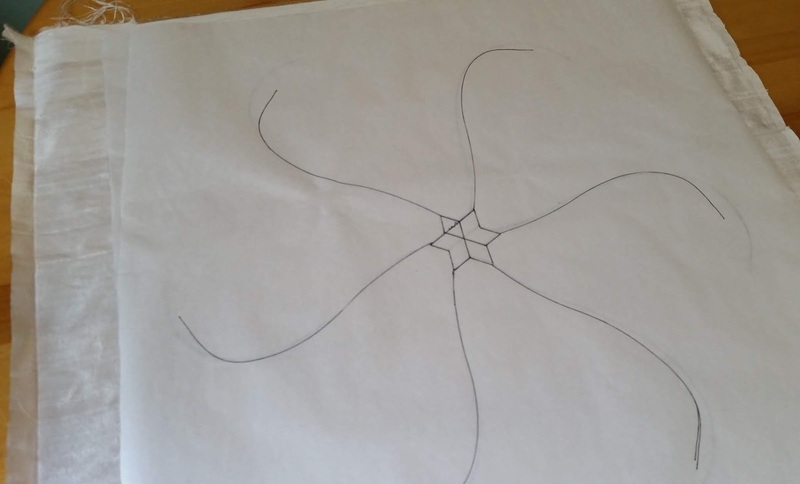 Curious as to what you used to draw the initial swirl on paper. I have used pencil and had that transfer right onto the fabric when stitching through the paper. Hi, Elaine: I don't have your email to reply directly to you, so hope that you see this. I know exactly what you mean about the marks transferring when the paper is removed as I have had that happen as well. 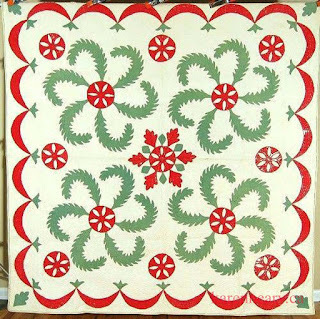 This time, I used a fine Sharpie marker and a special paper designed for quilting through. It pulled away cleanly and completely, and the marks stayed on it. 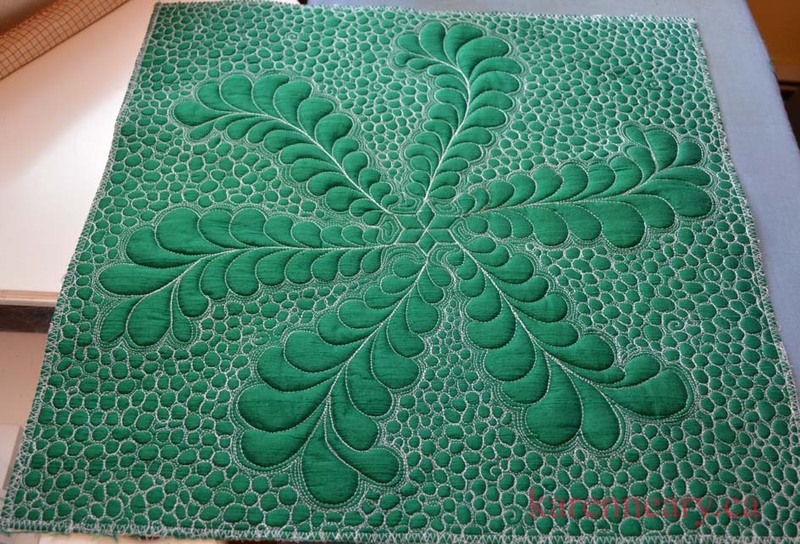 Sorry, I cannot remember the name of it (different than seral Golden Threads paper) but your LQS no doubt would know. Thanks for stopping by! Thanks! I’ve always been afraid of markers since the pencil incident. 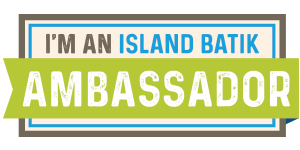 Ambassador Box 2 Is Here!